Happy Saturday (here in DC)! I'm happy to have survived the week, despite the jet lag. Here are some photos from the field. Thanks to photojournalist Patrick Ryan for passing on the first four photos in this post. Please check out his blog, http://snarkinfested.com/. The rest of the photos are mine. Cheers! Thanks to M, a gracious civil servant in the Ministry of Foreign Affairs, who hosted me and Patrick in Astana. 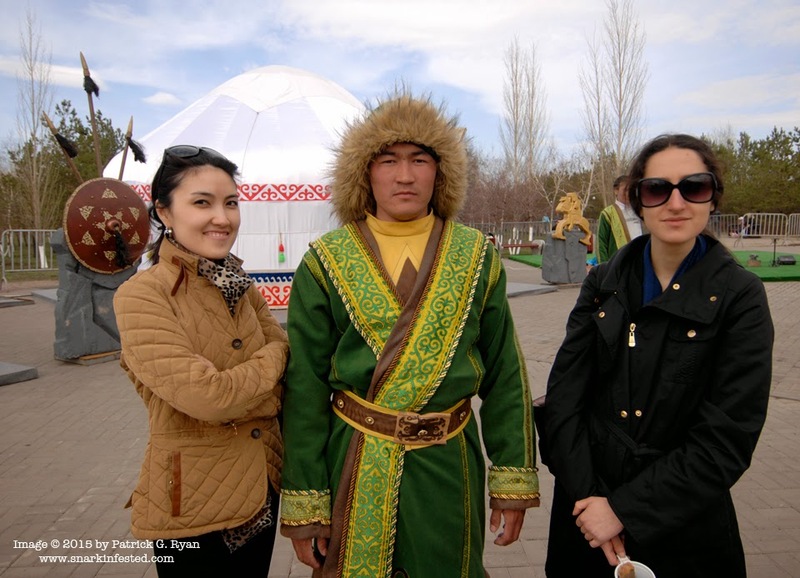 M studied in Montana on a Bolashak scholarship and has fabulous English. She also successfully put up with me for four days -- bravo! Chatting with Foreign Minister Idrissov. Next to me is London-based journalist and editor of The London Post, Dr. Shahid Qureshi. From Left to Right: Journalists from South Africa, Vietnam, the Netherlands (2), Foreign Minister Idrissov, yours truly, two journalists from the UK, one from Spain, South Korea and Vietnam. The group one of the factories in the Astana Economic Zone. This one uses GE technology to produce railway cars. The construction site for EXPO 2017. Construction site of the main building for EXPO 2017. 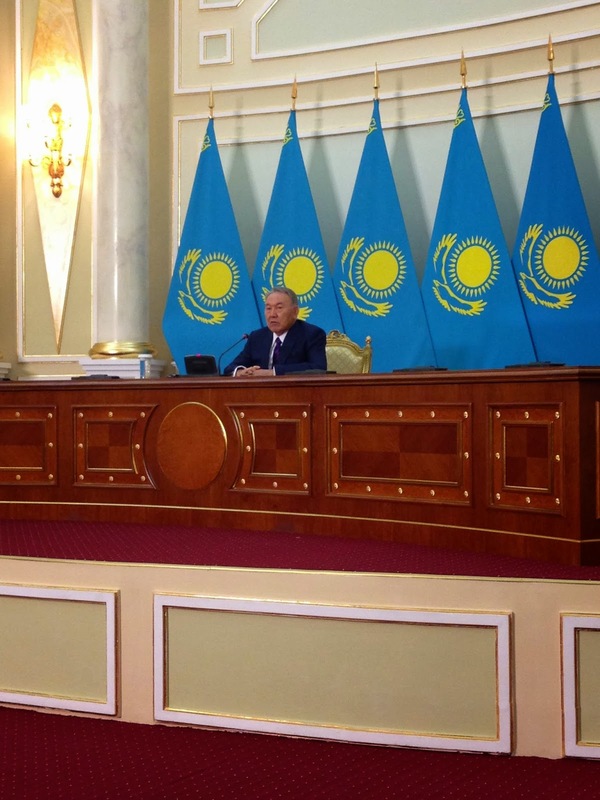 This photo basically sums up Astana. Construction cranes galore. 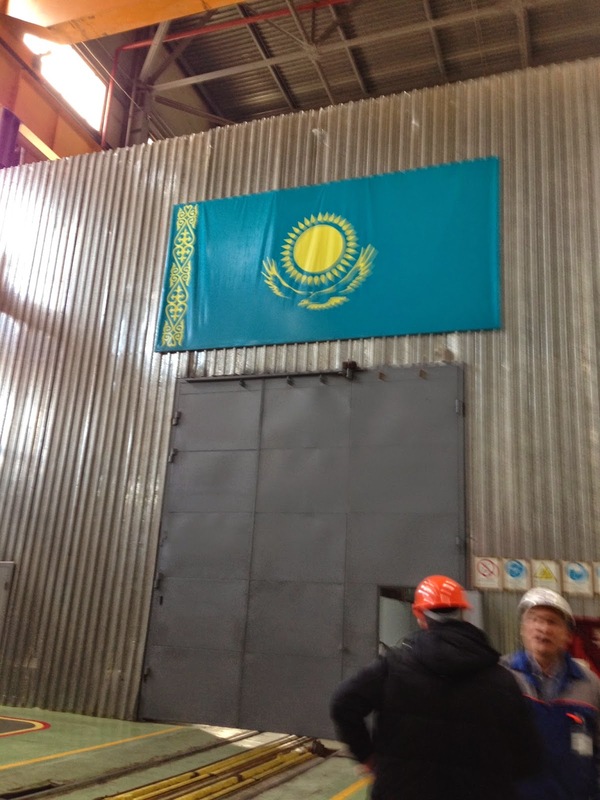 I like to think of this photo as a metaphor for Kazakhstan's industrialization-development agenda. Photo of the outside of the factory that produces Talgo trains for Kazakhstan Temir Joly, the national railway company. Bike rack outside of the "KazMunaiGaz" building. The text in Russian says "Our choice - ecology and sport." Information on voters' rights for election day. More information on voters' rights. An official from the Ministry of Internal Affairs providing a briefing to members of the press at the Central Election Commission at 11 AM on election day. Translator is seated. Members of the election commission preparing for press conference on April 27th.